Keep these shakers handy for fertilizing patio gardens, window boxes, and houseplants� or for transplanting a six-pack of flowers or vegetables. Sprinkle Worm Power from the sturdy shaker, or use the cap to measure consistent quantities. 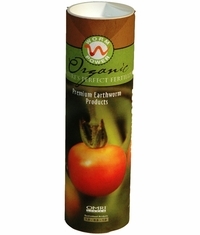 Pair with Worm Power Shower for a complete organic fertility system.